The island of Rhodes is invaded about 1400 BC by Achaeans who then established the Mycenaean civilization. 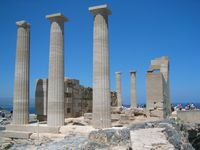 The ancient texts say that the town of Lindos provided seven ships of the Achaeans who went to Troy. 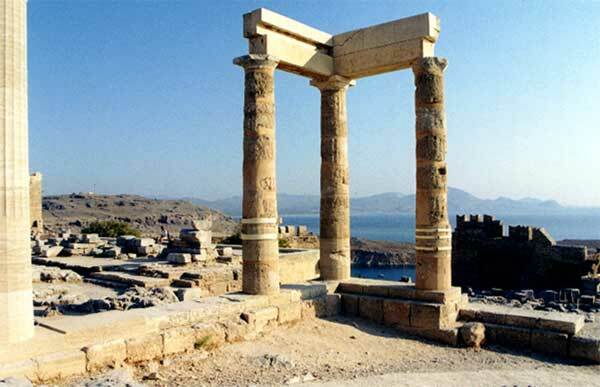 Rhodes then in the area of influence of the civilization of Minoan Crete. "Those of Lindos, a white Iélyse and Camire." 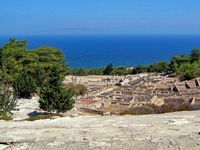 The Dorians are in the center of a thriving maritime trade with the colonies are scattered throughout the Aegean, the island entered a period of prosperity. 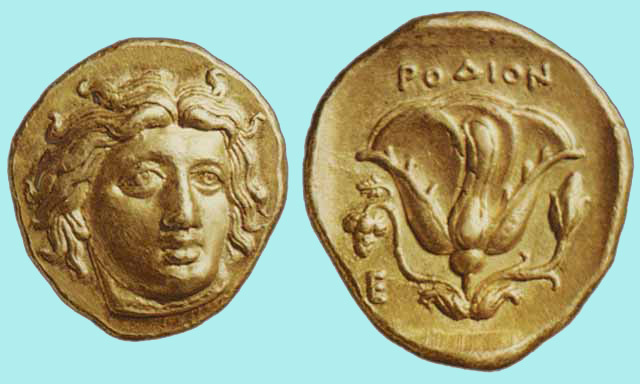 Camiros was the first to mint its own currency. 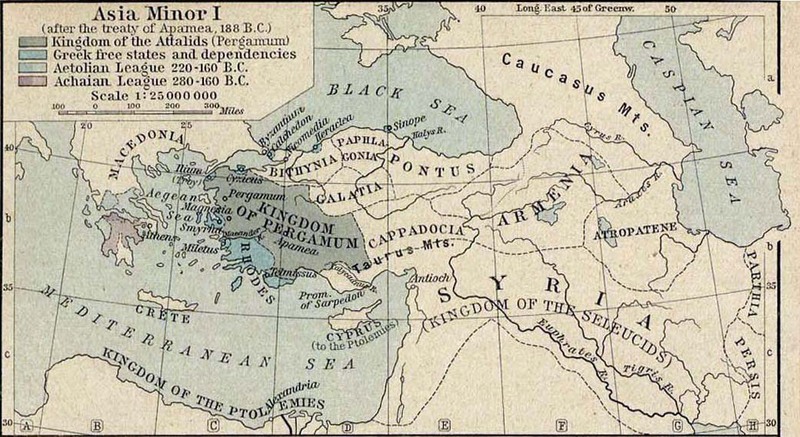 According to Herodotus, to -1000 BC, the three cities Camiros , of Ialyssos and Lindos formed with those of Kos, Cnidus and Halicarnassus (on the coast of Caria), the Hexapole Dorian. From the eighth century BC, trade and artistic production grow at Rhodes , which maintains relations with one hand the Middle East, and secondly with the Attica and Crete . Rhodes seems to be one of the first regions of Hellas to have adopted the alphabet. In the seventh century BC, the three cities traded with the Middle East and Egypt, built settlements in the neighboring islands on the coast of Asia Minor, and even in Italy (Naples). Several centuries of the history of the island remain obscure. Sixth century BC government tyrants; Cléobule the tyrant, one of the Seven Sages of Greece. At the end of the sixth century and the early fifth century BC, Camiros is dependent on Persia. The city regained its independence in the late Greco-Persians Wars before joining the island as the Delian League. In 411 BC, the Spartans parties Cnidus, landed at Camiros with 94 ships. According to Thucydides, they quickly seized the town, which is not fortified and they force people to change sides. During the next century, the island was involved in the Greek wars. The Democratic Party was in favor of the Athenians, the Spartans the aristocratic party, as in the rest of Greece from 412 to 370, there were five revolutions. Ultimately, the Rhodians take an active part in the revolt against Athens island, called Social War (357-355) in Caria princes encourage them to do, which does not stop soon Rhodian aristocrats to seek the with Athens against Caria. Skilled navigators, the Rhodians founded many colonies and Gagae Corydalla in Lycia, Soli in Cilicia, Gela in Sicily, Sybaris, Siris, Salapia, Parthenope Italy, Rhode (Rosas) in Spain, not to mention their counters Balearic Islands. However they had a secondary role until, in 408 BC, the three cities Dorian decided together while maintaining their autonomy, to establish a new center at the northeast end Island would be his capital the city of Rhodes, who would soon supplant them. The city of Rhodes was built on a regular plan Hippodamos of Miletus, the architect of the walls of Piraeus, one of the greatest architects of the time. Its shape was that of an amphitheater rising from the sea to the Acropolis located in the south-west, with wide streets and drainage system still used today, top, a theater down two great ports. In 334 BC, Rhodes is integrated into the empire of Alexander the Great (336-323). 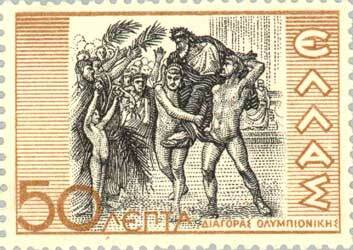 At the death of Alexander in 323 BC, Rhodes citizens revolted against the Macedonians and expelled. Rhodes spoke so close trade relations with the kingdom of the Ptolemies in Egypt installed. 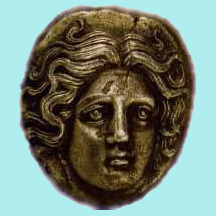 In 305 BC, the Macedonian king Antigonus I Monophtalmos ("one-eyed") (306-301) entrusted his son Demetrius I Poliorcetes (the "taker of cities") (King 294) command to a huge fleet and launched an expedition against Egypt Ptolemy I. The Rhodians refuse to participate in this expedition. The invasion ended in failure, Demetrius I can not force the Egyptian defenses and to give up. He then tries to destroy Rhodes refused to help his father. The Rhodians fought valiantly; Camiros repels attacks, but the siege of Rhodes will last one year (305-304) and end in 304 BC by a peace treaty, Demetrius must abandon the siege of island. Not only merchant fleet and War Rhodes became a major Mediterranean, but they found in shipbuilding and the manufacture of weapons and war machines lucrative industries. They extended their suzerainty over the nearby coast of Asia Minor, called Perea, and islands Kasos, Karpathos, Telos, Chalcé. the government seems to have been quite cleverly weighted, two prytanes annual exercised executive power, assisted navarques or admirals a Senate (Boulh) preparing decisions are then submitted to the approval of the People’s Assembly. his school of rhetoric, renowned throughout the ancient world, is frequented by famous Greek and Roman orators. Aeschines, leaving Athens, there opened a school whose popularity was considerable and persistent even in Roman times, they came to Rhodes to study rhetoric; Panaetius, Stratocles, Andronicus, Eudemus, Hieronymus, Peisander, Simmias, Aristide are Rhodians , Posidonius, Apollonius (see Apollonius of Rhodes ) Rhodes resided long. Rhodes is the first stop trade between Egypt, Phoenicia and Greece. It minted its own currency. The Rhodians are in the third century BC, the most famous sailors of the Hellenic world, they create a sort of commercial and maritime law which they admit the rules. it cultivates the arts and letters, and especially famous for sculpture and pictorial art, to beautify buildings, shrines and sculptures. 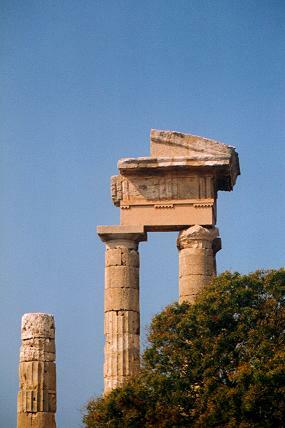 Rhodes reached a peak in this area with paints protogenic (fourth century BC), and the carvings of Chares (third century BC), author of the famous Colossus (c. 303 - 291 BC). 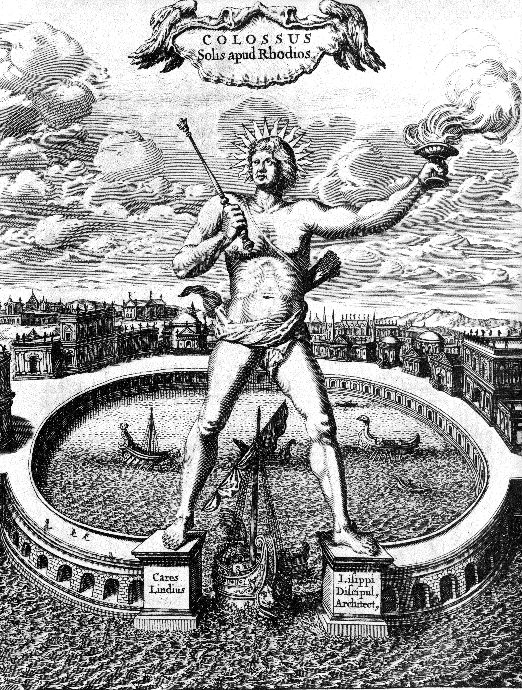 In the second century BC, the sculptors of Rhodes ended the famous statue of Laocoon and his son. However, the wealth and luxury did not erased the old qualities of patriotism, hard work and professionalism. 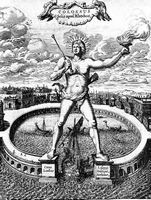 Rhodes is known for its Colossus of Rhodes (304-292), the work of Chares of Lindos, designated as one of the seven wonders of the world. The wonder remains a standing sixty years, in 226 BC, an earthquake ground throws. Debris remain on up nine centuries, until the Arabs carry on the coast of Asia Minor and sell them. If the Colossus is in ruins, the city is not less, and many cities friends sending aid to rebuild, the conservative foreign policy conducted by Rhodes is paying off. Apollonius of Rhodes, Greek Απολλώνιος, Alexandria (295-215 BC), Greek poet and grammarian. Disciple of Callimachus of Cyrene, he composed a long epic, the Argonautica, which departs from the teachings of his master and seeks to get closer to the Homeric simplicity. Rejected by Callimachus, he moved to Rhodes, where he founded a school of rhetoric. At the same time, he reworks his poem. Returned to Alexandria, he knows success and Ptolemy V Epiphanes appointed director of the Library of Alexandria, Eratosthenes succession. The Argonautica were very popular with the Romans, and were a source of inspiration especially for Valerius Flaccus. The prosperity of Rhodes was reached in the second century before the Christian era, and it was due in part to the Egyptian alliance was confirmed first by the Roman alliance, also entered against the Seleucids and Macedonians at the end the second century BC, the Roman Empire began to spread to the eastern Mediterranean, and the Rhodians, true to their principles, adopt a friendly attitude towards them. At the time of the conquests of the Roman Republic in the east, and commercial maritime superiority in the seas of Greece belonged unquestionably, Rhodes, ally of the new masters of the world. 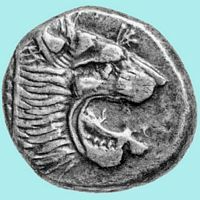 The coinage of Rhodes took a huge development for two centuries and had the movement about the largest and most general. 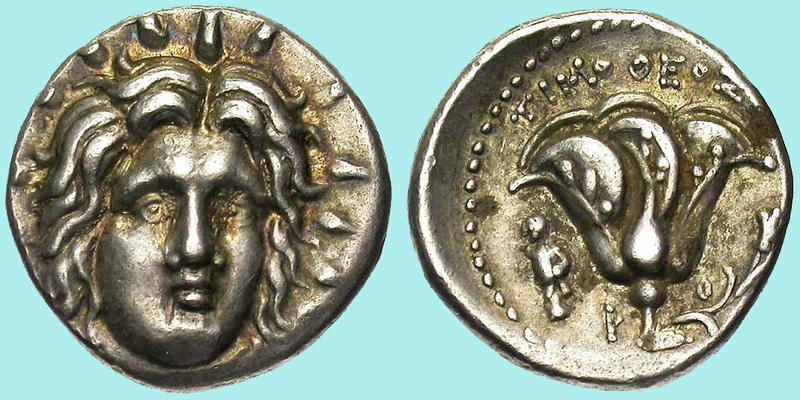 Rhodian coins of this age are very common, they are kind to one side the head, front view and canceled, the Sun god and protector of the island mythical author of its first inhabitants, the other, speaking the symbol of the rose. Rhodes saw a heyday, during its currency everywhere, its code of maritime trade made the law of the seas. But the alliance with Rome contributes, as in other parts of the world, the gradual weakening of the island, which, from the second century AD, became a Roman province. 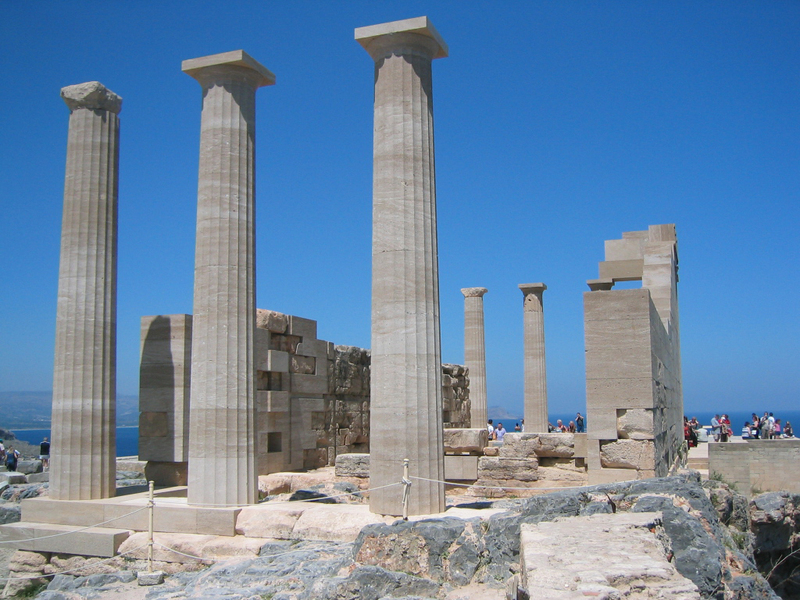 The Romans in the second century BC, are a free port of Delos, which competes with the Rhodians. 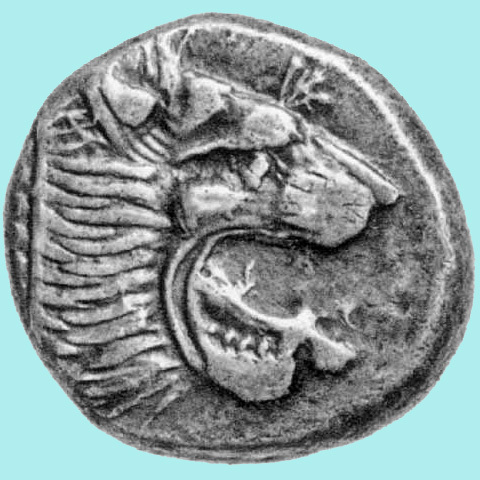 In 189 BC, the Romans, victors of Antiochus gave the Rhodians Caria. But these, worrying progress of Rome wanted to throw his influence and that of the kings of Pergamum she attended, agreeing with the kings of Macedonia. After the fall of Perseus, the Roman Senate resumed their Caria, leaving them Perea, located opposite the peninsula of the island. In the war against Mithridates, the island remained faithful to the Roman alliance. In 48 BC, the Rhodians took indeed left for Caesar against Pompey, the Roman general and politician, and against the Roman Senate, and this was the cause of their ruin. In 43 BC, Roman general another, Cassius, one of Caesar’s assassins, defeated in the naval battle, Rhodes invaded, massacred allies Caesar seized the treasures of the city and razed the temples. This battle broke the power of Rhodes, but the city still maintained its prestige as long siege of knowledge. Rhodes never recovered from this disaster. However its schools kept their reputation. Tiberius at the time of his disgrace, lived on the island. It was finally deprived of its autonomy by Claude who incorporated it into the province of Asia (44) released again, it was finally annexed by Vespasian in 70 AD under Constantine, it was attached to Islands province and was the capital. During the division of the Roman Empire in 395 AD, Rhodes and the other islands of the "Provincia insularum" are attached to the Byzantine Empire. In the year 57 AD, Paul (originally Saul) of Tarsus, who later became Saint Paul, visit Rhodes and preaches the gospel.